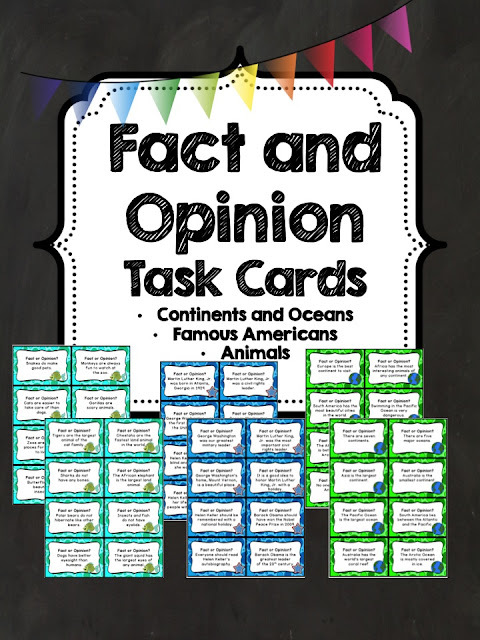 The Best of Teacher Entrepreneurs: Language Arts - "Fact and Opinion Task Cards"
Here's a fun way to review fact and opinion while learning some interesting facts! Use as a center activity, for early finishers or whole class review. Be sure to laminate cards to use year after year.